Simply put: the LinkedIn publishing platform is an opportunity to share your expertise and credibility with your business connections. The LinkedIn Publishing Platform first became available back in February to a limited number of profiles, however by now it should be rolled out to everyone’s profile. The publishing platform is considered long form content meaning just as a blogger, you can write an article. Recently, LinkedIn added a new feature – analytics for LinkedIn Publisher. 5 reasons why you should consider adding your own content to boost your presence on LinkedIn. This is a great opportunity to write about your expertise and thus build your credibility. If you are already blogging than this should be simple for you in fact you can re-purpose content from your blog. I might suggest you change the subject title and rewrite some of the content so it is a refreshed version you are posting. Always remember to speak to your ideal audience just as you would in your blog and offer the same high value content. When you publish an article via the publishing platform it is shown as a status update to your 1st degree connections. When they comment, like or share your article has now reached 2nd and 3rd degree connections thus expanding your overall reach. 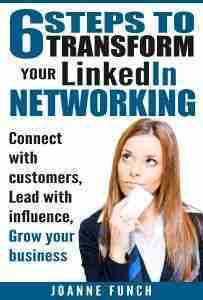 This way you are exposed to new folks and have an opportunity to attract both followers and connections. Anyone on LinkedIn can “Follow” your posts! Anyone can leave a comment on your post which is an opportunity for you to engage in a relationship with people who have taken the time to comment. Always encourage people to leave a comment via a call to action at the end of your posts and then be sure to check your post frequently for comments and respond quickly. I do think it is important to share a link to your posts on your LinkedIn company page and throughout your other social networks. Read more about managing your company’s reputation through LinkedIn. Create an authors bio paragraph at that will appear on the bottom of every post so people can learn more about you with links back to your sites. * Don’t use this as an advertising platform, your colleagues won’t appreciate it nor will LinkedIn and you could be banned. * Do offer value that people who follow you would come to expect from you – let your expertise shine! If you want more guidance after reading our top 5 reasons use LinkedIn Publisher, click the link below. 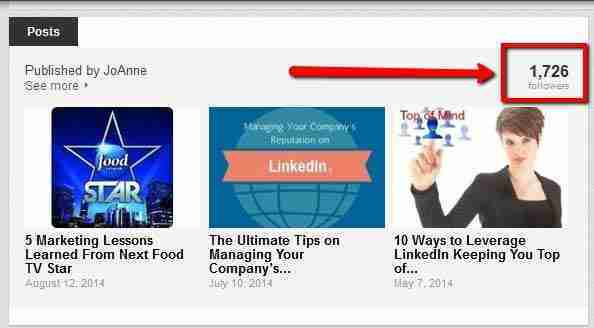 –> Click here to get instant access to my LinkedIn Do’s and Dont’s list for savvy professionals! Do you know how long it takes from applying to get approved? I’ve been waiting for quite awhile and yet most of my clients already have it.